Professor Roberts examines the relationship between antisemitism and the practices of citizenship in a colonial context. 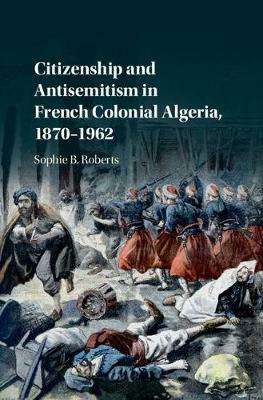 She focuses on the experience of Algerian Jews and their evolving identity as citizens as they competed with the other populations in the colony, including newly naturalised non-French settlers and Algerian Muslims, for control over the scarce resources of the colonial state. The author argues that this resulted in antisemitic violence and hotly contested debates over the nature of French identity and rights of citizenship. Tracing the ambiguities and tensions that Algerian Jews faced, the book shows that antisemitism was not coherent or stable but changed in response to influences within Algeria, and from metropolitan France, Europe and the Middle East. Written for a wide audience, this title contributes to several fields including Jewish history, colonial and empire studies, antisemitism within municipal politics, and citizenship, and adds to current debates on transnationalism and globalization.